Y-not! The best partner for you. Y-not is established in 2017. We’re experts for distribution of DDR, Flash memory, many kinds of SoC and other products like WI-FI module, Adapter and HDMI & USB cables. And now we added new line-up card of 5G Infrastructure chipset. We also can handle your excess inventory and stock. Finally, we’ll help your global IT business with our networking. 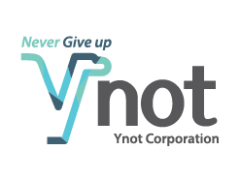 Y-not will be the best partner for your business. Y-not. The Best partner for YOU.